We are a registered non-profit organization in Canada. We do not issue donation tax receipts. 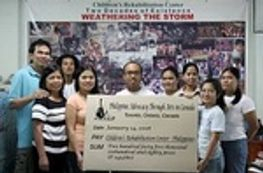 PATAC has been raising funds for programs of the Children's Rehabilitation Centre since 2007. Last September I had the privilege to meet two Assumption Sisters, Sr. Mila and Sr. Esper who did wonderful stress management workshop. During that time, I learned about their work for children and youth in the Philippines. PATAC recognizes the need to support the education programs for youth and children in the Philippines. This year's fundraising, we are also supporting the Missionaries of Assumption in their programs. PATAC calls friends and supporters to again give generously and share their blessings to those who are in dire need, emergency needs. As always, PATAC is helping raise funds to support communities affected by disasters. PATAC will help facilitate sending your support to MIGRANTE or to CDRC, if you wish to course it through us. You may donate to them directly as well. 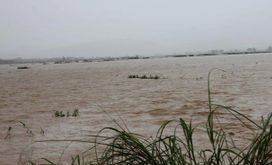 Migrante International - Migrante Canada calls on its member organization and allies to donate for communities affected by disasters. Let us mobilize our organizations to start collecting donations.